but nothing we are willing to admit. After my last e-newsletter I received an email from a friend of long standing who raised a question about a certain three letter word and asked me to respond to him. I’m afraid my response was less than adequate but that’s what happens when you try to cover difficult topics in emails. It would be virtually impossible to even conceive responding with a twitter (140 characters for neophytes). It is an issue with which man has struggled for Millennia. Simply put, it is the question of sin. Sin is essentially a self imposed estrangement from God, those around us and from all God’s creation. We only have to look around us to see the end result of sin yet more difficult to see sin in our own lives. In Moral Theology class we were taught that mankind was basically good with a tendency to do evil. Looking into my own life I can understand that while I want to do good my ego often gets in the way. This can be caused by fear of losing myself, my safety, my livelihood, my future — whatever, it causes me to set limits and build walls around me. The most profound story of this was written more than a century ago by Charles Dickens. “A Christmas Carol” is a great example of how love withheld can warp and nearly destroy lives. Scrooge, reacting to the lack of love shown by his parents started off on the road to self centeredness. To protect himself from hurt he began to build walls around himself that shut out the love that others wished to share with him. His nephew and Tiny Tim are good examples of how God tries to break through our walls offering unconditional love. It takes a series of life changing events to turn Scrooge around so that he can joyfully respond to the love all around him. Most of us do not go out of our way to intentionally commit sin. Rather, it becomes a matter of our life style that begins an alienation process from God and one another that in itself is sinful. An unfortunate example is that of an 88 year old man who became so obsessed with hatred that he went to the Holocaust Museum with the intention of killing people. A young guard acting in charity to open the door for this elderly man was the victim of the man’s hatred and became a victim of this hatred. While the action of this man was a sin in itself it was really a result of the erosion that sin caused in his life. You can compare it to the insidious damage caused over time by water seeping into the earthen levees holding back the river. This small trickle will over time undermine the entire levee so that it will give way under the pressure of the river. We too can easily fall victim to the erosion of sin in our lives. It can happen when we want to protect ourselves from embarrassment or to appear more than who we are. We “enhance” the truth on our resumes or find a scapegoat for our own failures. It is rather easy to do can become a habit leading to more serious failings. “Creative” accounting and an attitude that “we deserve” things because we worked particularly hard or took large risks seem to have resulted in a collapse of the world’s economic system. Sin, however, is not just confined to those actions we take that alienate us from God and one another. It is also allowing evil to happen by not doing the loving thing. Averting our eyes from the hungry man or woman huddled at the park bench or near the train station is equally sinful. The answer to the question. “Am I my brother’s keeper?” is a resounding YES! Because we are unconditionally loved and love seeks a resounding response, like an echo, bringing to the author of love that love shared with another. There is little doubt that evil exists in the world, the 20th century graphically demonstrated this. Genocide does not only happen in far away death camps or killing fields. In our own midst our city streets and our prisons have also become places where evil can fester and infect others in the community. We can become frightened and indifferent to those things which cause such evil to grow. “Be sober, be watchful, the evil one, like a roaring lion goes about seeking someone to devour. Resist him steadfast in the faith.” This reminder from St Paul in his letter to Timothy is not as much about gang warfare but our tendency to yield to popular culture and accept what evil holds out to us. The evil one, Satan, the devil, Beelzebub, Old Nick or whatever appellation you choose is not just some myth to frighten children or the gullible. God’s gift of a loving creation includes the gift of free will, a choice as to whether to accept this love and respond or to ignore it. While you may not be able to see the evil one you can and do experience his negative power in the world. Evil feeds on complacency and resignation, it builds walls that keep out love while professing safety. Walls built on fear and distrust which turns to hatred thus enabling sin in the world and to enter our lives. We then become caught in a vicious circle. We know evil exists and are drawn to it like a moth to a flame. In fact there is little we can do to prevent it alone. We need each other and we need God who like a loving parent draws us close and leads us safely home. I promise to be your God… you shall have no other gods before me. I promise to be there for you… you shall not idolize people, wealth or things that take you away from me. I promise you a good name… you shall not make wrongful use of the name of the Lord your God. I promise you I will be God and provide you rest… you shall remember the Sabbath day, and keep it holy. I promise you stability… you shall honor your father and your mother. I promise you life… you shall not murder. I promise you my faithfulness… you shall not commit adultery. I promise you my generosity… you shall not steal. I promise you truth… you shall not bear false witness against your neighbor. I promise you what you need… you shall not covet. Rather than a list of “do not’s” The Ten Commandments are really a list of great promises of love that God has for us. Reflection on the gospel reading: We can read in the gospel a witness to the apostles’ struggle to understand just who it is that is their friend, that is, that the man in the boat has powers that they ascribed only to God. We also can read in the gospel a witness that God indeed is aware of the tumult that surrounds us as we make our way. God is sensitive to the waves that crash upon us and threaten us. The Lord is with us as we make our way, and the Lord truly does care about our fates. Saint of the day: There were Christians in Rome within a dozen or so years after the death of Jesus, though they were not the converts of the “Apostle of the Gentiles” (Romans 15:20). Paul had not yet visited them at the time he wrote his great letter in a.d. 57-58. The explanation for this population probably reflects the frequent travel that occurred between Jerusalem and the capital of the empire and the fact that there was a large Jewish population in Rome. Probably as a result of controversy between Jews and Jewish Christians, the Emperor Claudius expelled all Jews from Rome in 49-50 A.D. Suetonius the historian says that the expulsion was due to disturbances in the city “caused by the certain Chrestus” [Christ]. Perhaps many came back after Claudius’s death in 54 A.D. Paul’s letter was addressed to a Church with members from Jewish and Gentile backgrounds. In July of 64 A.D., more than half of Rome was destroyed by fire. Rumor blamed the tragedy on Nero, who wanted to enlarge his palace. He shifted the blame by accusing the Christians. According to the historian Tacitus, many Christians were put to death because of their “hatred of the human race.” Peter and Paul were probably among the victims. Threatened by an army revolt and condemned to death by the senate, Nero committed suicide in 68 A.D. at the age of 31. Reflection on the gospel reading: We read today Jesus’ reply to two men who would follow him. The first of these two men is a scribe who says he will follow Jesus anywhere. Jesus observes to him that the cost of discipleship is to be prepared to own nothing, that is, to follow him is to have “nowhere to rest his head.” The second of these two men is a disciple who says he has to go and bury his father, but Jesus tells him that the needs of the kingdom must have first place. In both cases, what the Lord communicates is that following Jesus must be an unconditional act. Christianity is a way of life, and its demands sometimes inconvenience us, but a life of discipleship is a radical commitment that demands of us a total response. 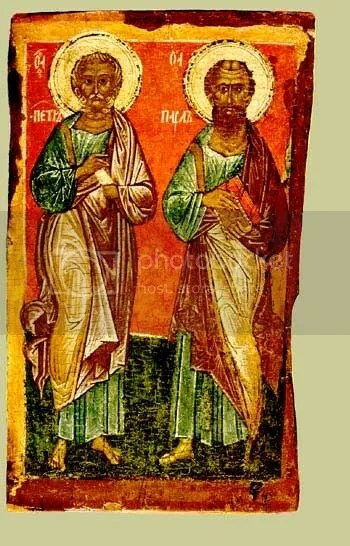 Saint of the day: Reverence for the two great apostles, Peter and Paul, goes back to the earliest year of Christian faith. Peter and Paul are the solid rock that founds the Church. They are at the origin of her faith and will forever remain her protectors and her guides. To them the Church owes her true greatness, for it was under God’s providential guidance that they were led to spread the gospel, a gospel for which they gave their lives. Peter suffered martyrdom under Nero, in A.D. 66 or 67. He was buried on the hill of the Vatican where recent excavations have revealed his tomb on the very site of the basilica of St. Peter’s. St. Paul was beheaded in the via Ostia on the spot where now stands the basilica bearing his name. Through the centuries, Christian people have gone on pilgrimage to the tombs of these Apostles. Today, we continue the celebration of their witness. When Jesus had crossed again in the boat to the other side, a large crowd gathered around him, and he stayed close to the sea. One of the synagogue officials, named Jairus, came forward. Seeing him he fell at his feet and pleaded earnestly with him, saying, “My daughter is at the point of death. 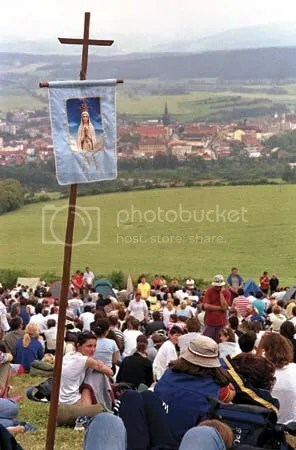 Please, come lay your hands on her that she may get well and live.” He went off with him and a large crowd followed him. While he was still speaking, people from the synagogue official’s house arrived and said, “Your daughter has died; why trouble the teacher any longer?” Disregarding the message that was reported, Jesus said to the synagogue official, “Do not be afraid; just have faith.” He did not allow anyone to accompany him inside except Peter, James, and John, the brother of James. When they arrived at the house of the synagogue official, he caught sight of a commotion, people weeping and wailing loudly. So he went in and said to them, “Why this commotion and weeping? The child is not dead but asleep.” And they ridiculed him. Then he put them all out. He took along the child’s father and mother and those who were with him and entered the room where the child was. 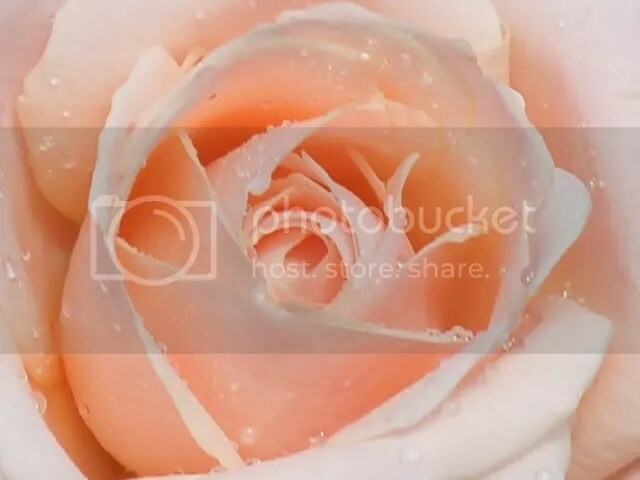 He took the child by the hand and said to her, “Talitha koum” which means, “Little girl, I say to you, arise!” The girl, a child of twelve, arose immediately and walked around. At that they were utterly astounded. He gave strict orders that no one should know this and said that she should be given something to eat. Reflection on the gospel: Mark has a particular stylistic approach that he uses over and over throughout his gospel. He starts to tell one story, then he veers off to tell a second but related story. Once he has finished the aside, he goes back and explains the conclusion of the original story. Scripture scholars call this a Markan Sandwich. Over the last several days, we have seen Jesus’ deep commitment to making the wounded whole, and today, the gospel reading continues this theme of Jesus as healer. 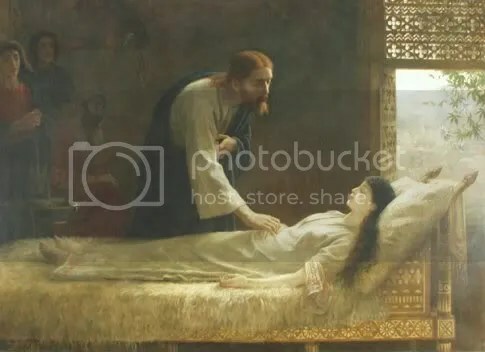 A synagogue official approaches Jesus to tell him his daughter is very ill and ask him to heal his daughter. 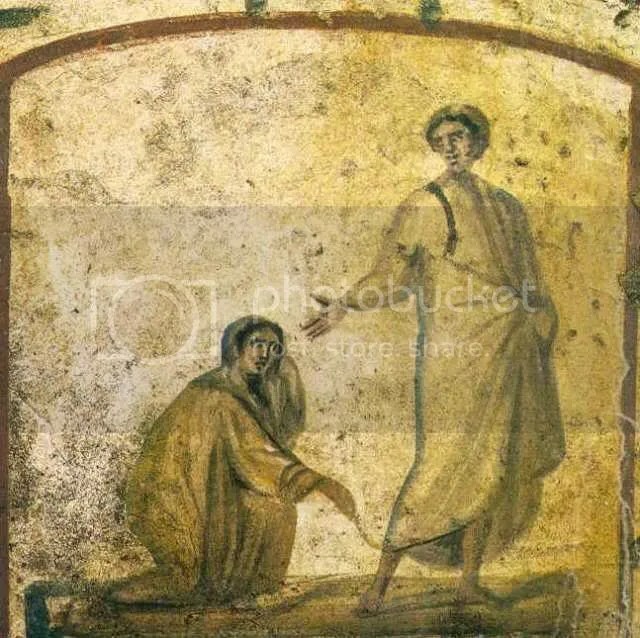 On his way to the official’s home, a woman touches his garment to be healed of a long-standing illness, a hemorrhage that not only was a source of personal embarrassment to her but rendered her ritually impure. Her touch of the Lord heals her. After the encounter, Jesus goes to the little girl, now apparently dead, and commands her to rise. And his command does just that. The little girl is restored. Both the accounts contain similar elements. 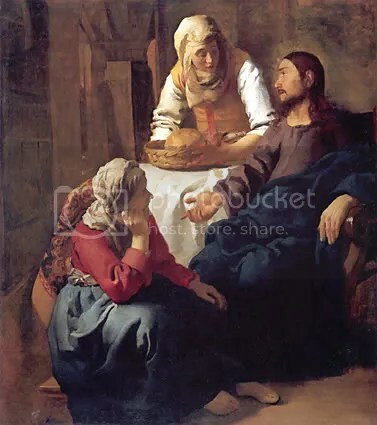 Yes, Jesus is so open to healing the brokenness that surrounds him that even when unbidden, the woman’s touch of the Lord’s garment restores her to health. And in the case of Jairus’s daughter, the news that the girl is dead does not stop the Lord’s willingness to go to her. Jesus encourages Jairus to remain confident. Here we also have the other side of the equation: not just Jesus’ willingness to heal but our willingness to believe Jesus will heal. Both Jairus and the hemorrhagic woman place great trust in Jesus’ willingness and ability to heal them. And Jesus places great stock in the faith of both of them. Both parts of the Markan sandwich point to similar sets of facts: Jesus’ complete readiness to heal, and the trust that the one in need of healing places in the Lord’s ability to heal. Both of these two stories folded into one story speak to Jesus’ willingness to make us whole and his desire that we know this fact about him. When Jesus entered Capernaum, a centurion approached him and appealed to him, saying, “Lord, my servant is lying at home paralyzed, suffering dreadfully.” He said to him, “I will come and cure him.” The centurion said in reply, “Lord, I am not worthy to have you enter under my roof; only say the word and my servant will be healed. For I too am a man subject to authority, with soldiers subject to me. 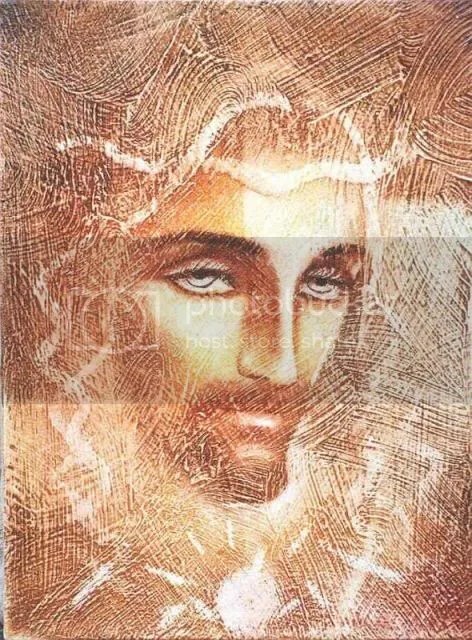 And I say to one, ‘Go,’ and he goes; and to another, ‘Come here,’ and he comes; and to my slave, ‘Do this,’ and he does it.” When Jesus heard this, he was amazed and said to those following him, “Amen, I say to you, in no one in Israel have I found such faith. I say to you, many will come from the east and the west, and will recline with Abraham, Isaac, and Jacob at the banquet in the Kingdom of heaven, but the children of the Kingdom will be driven out into the outer darkness, where there will be wailing and grinding of teeth.” And Jesus said to the centurion, “You may go; as you have believed, let it be done for you.” And at that very hour his servant was healed. Reflection on the gospel reading: In today’s gospel, we have a series of healing stories. Jesus heals the centurion’s servant. Jesus heals Peter’s mother-in-law. Jesus heals all the sick people they bring to him at the end of the day. And in the combination of these stories, we see how freely Jesus heals. In the first case, someone who is not sick pleads for someone who is sick but at a distance. 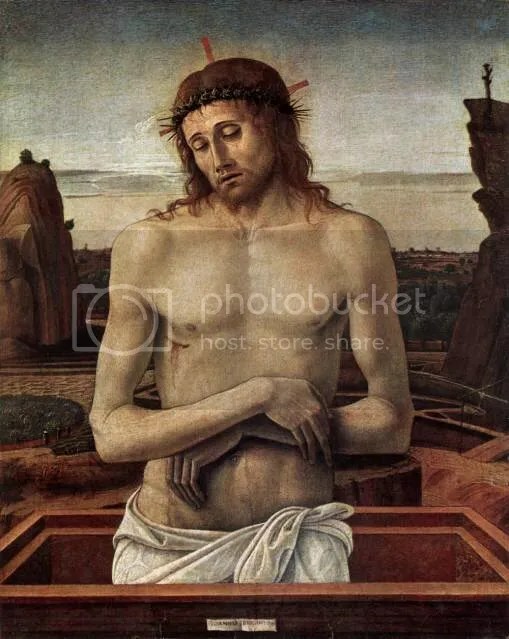 In the second case, Jesus himself goes to a person who is sick. In the third case, people bring to Jesus those who are sick. The stranger pleads with Jesus. Jesus heals the relative of his friend. Jesus heals crowds. Jesus heals without conditions. There are no boundaries: People ask for others; people don’t ask; people ask for themselves. It doesn’t matter: Jesus is lavish, profligate, even wanton in his healing. Jesus is the prodigal healer. 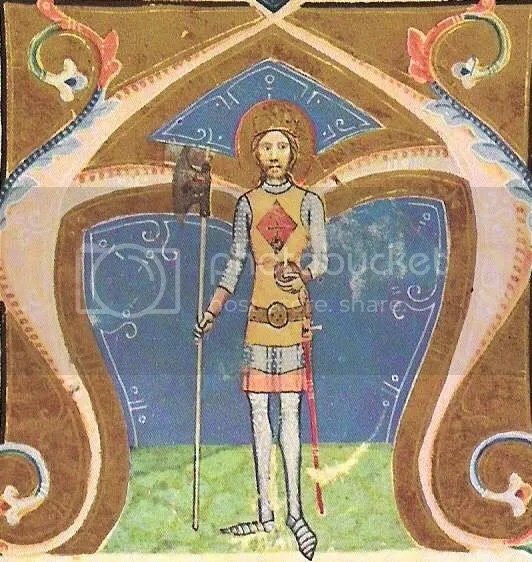 Saint of the day: Born in Neustra, Hungary, July 29, 1040, Ladislaus died at Nitra, Bohemia, July 29, 1095. Ladislaus of the house of Arpad, son of King Bela, was elected king of Hungary in 1077 by the nobles. He followed in the footsteps of Saint Stephen I of Hungary. Immediately he was faced with the claims of a relative and son of a former king, Solomon, to the throne, and defeated him on the battlefield in 1089. He developed the power of his young kingdom. He fought just and successful wars against Poles, Russians, and the Tartars. Ladislaus married Adelaide, daughter of Duke Welf of Bavaria, one of Rupert’s supporters. While Ladislaus encouraged Christian missionaries and fostered Christianity within his dominions, he allowed religious freedom to the Jews and Islamics within his realm. He was distinguished personally for the justness of his rule and the virtue of his life. In 1091, Ladislaus marched to the aid of his sister, Helen, Queen of Croatia, against the murderers of her husband. When she died childless, he extended the boundaries of his kingdom by the annexation of Croatia and Dalmatia despite objections from the pope, the emperor in Constantinople, and Venice. In 1092 at the Synod of Szabolcs, Ladislaus promulgated a series of laws on religious and civil matters. He was chosen to lead the armies of the first crusade but before he could go he died. In a sentence, Laszlo was the ideal national hero. He is venerated for his zeal, piety, and moral life. In 1192, his relics were enshrined as those of a saint in the cathedral he had founded at Nagyvarad. Reflection on the gospel reading: Leprosy, of course, is a rare condition, but each of us has places in our lives where we are not whole. All of us approach God in our various forms of leprosy: in the ways that each of us needs, in the ways that each of us is incomplete. “Lord, if you wish, you can make me clean,” is a prayer that all of us have prayed in different ways and at different moments in our lives. “I will do it. Be made clean”: this gospel reading is an assurance to us that Jesus indeed wishes us to be whole and complete persons. We can approach Jesus confident that he wishes us to be sound and confident that he will hear and answer our prayer for healing. 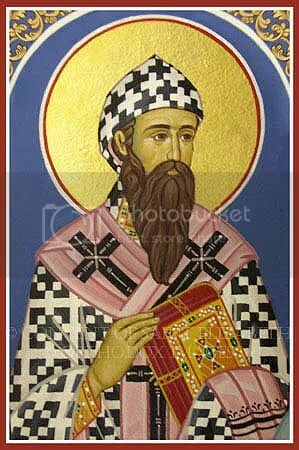 Saint of the day: Cyril of Alexandria, Bishop and Doctor of the Church, Cyril was born at Alexandria, Egypt. He was nephew of the patriarch of that city, Theophilus. Cyril received a classical and theological education at Alexandria and was ordained by his uncle. He accompanied Theophilus to Constantinople in 403 and was present at the Synod of the Oak that deposed John Chrysostom, whom he believed guilty of the charges against him. He succeeded his uncle Theophilus as patriarch of Alexandria on Theophilus’ death in 412, but only after a riot between Cyril’s supporters and the followers of his rival Timotheus. 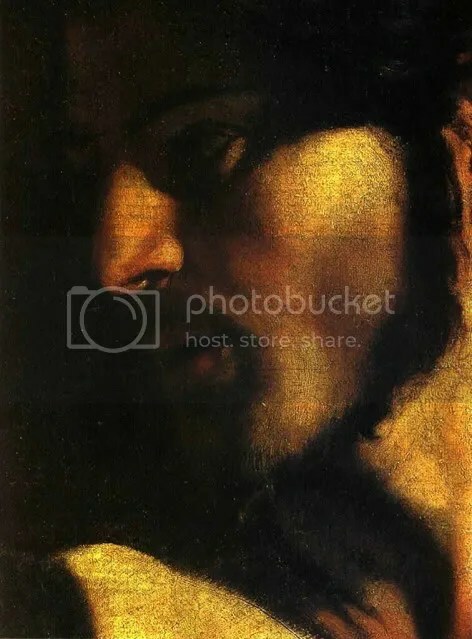 Cyril at once began a series of attacks against the Novatians, whose churches he closed; the Jews, whom he drove from the city; and governor Orestes, with whom he disagreed about some of his actions. In 430, Cyril became embroiled with Nestorius, patriarch of Constantinople, who was preaching that Mary was not the Mother of God since Christ was Divine and not human, and consequently she should not have the word theotokos (God-bearer) applied to her. He contrived to convoke a synod at Rome, which condemned Nestorius, and then did the same at his own synod in Alexandria. Celestine directed Cyril to depose Nestorius, and in 431, Cyril presided over the third General Council at Ephesus, attended by some two hundred bishops, which condemned all the tenets of Nestorius and his followers before the arrival of Archbishop John of Antioch and forty-two followers who believed Nestorius was innocent. When they found what had been done, they held a council of their own and deposed Cyril. Emperor Theodosius II arrested both Cyril and Nestorius but released Cyril on the arrival of Legates from the bishop of Rome who confirmed the council’s actions against Nestorius and declared Cyril innocent of all charges. Two years later, Archbishop John, representing the moderate Antiochene bishops, and Cyril reached an agreement and joined in the condemnation, and Nestorius was forced into exile. During the rest of his life, Cyril wrote treatises that clarified the doctrines of the Trinity and the Incarnation and that helped prevent Nestorianism and Pelagianism from taking long-term deep root in the Christian community. He was the most brilliant theologian of the Alexandrian tradition. His writings are characterized by accurate thinking, precise exposition, and great reasoning skills. Among his writings are commentaries on John, Luke, and the Pentateuch, treatises on dogmatic theology, and Apologia against Julian the Apostate, and letters and sermons. 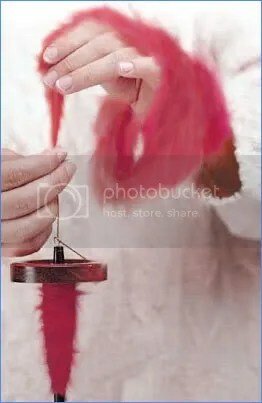 Spiritual reading: Spin a little every day; thread by thread weave your design until it is finished and you will infallibly succeed. Reflection on the gospel reading: We come to the end of the Sermon on the Mount. In today’s gospel, Jesus makes it clear that outward dispositions and signs are not enough for true discipleship. We can make professions of faith and work wondrous signs, but unless our conversion of life is at the core of our beings, all the outward manifestations are without worth. Discipleship, one might say, is an inside job. 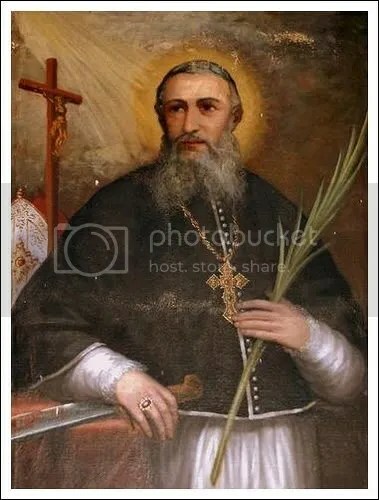 Saint of the day: Dominic Henares, OP died in Tonkin, Vietnam in 1838; he is one of the Martyrs of Vietnam. Bishop Dominic Henares and the tertiary catechist Francis Chien died together with many others during the Annamite persecution. Bishop Henares was born in Spain in 1765. He became bishop- coadjutor to Ignatius Delgado in 1803. In 1838, Bishop Henares, Bishop Ignatius Delgado, the apostolic-vicar of Tonkin, and Francis Chien were captured during a persecution stirred up by the mandarin. The prelates and a young priest had been hidden in the village of Kien-lao, and were accidentally betrayed by a little child who was cleverly questioned by a pagan teacher searching for the foreigners. Alarmed at the sudden activities, the captors of Bishop Delgado put him into a small cage which was locked around him, and then put into jail with criminals. Delgado was tortured but refused to hint at the location of the others and was eventually killed. The young priest escaped. Bishop Henares was captured at the same time. 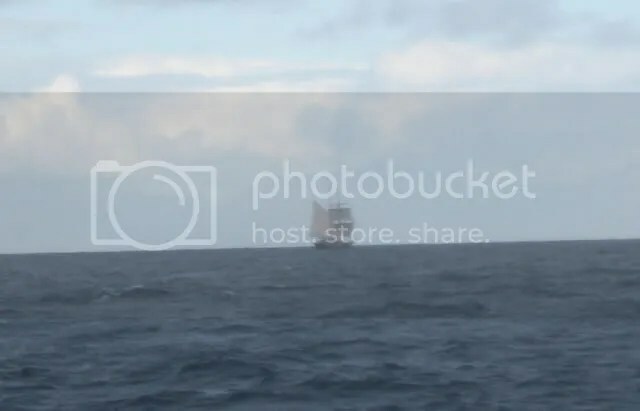 He had hidden himself in a boat, and the nervousness of the boatmen gave him away. Five hundred soldiers were detached to bring in the two dangerous criminals–the bishop and his catechist. They, too, were questioned endlessly. Two weeks after the death of Bishop Delgado, Henares was led out and beheaded in company with Chien. When the time arrived for Elizabeth to have her child she gave birth to a son. Her neighbors and relatives heard that the Lord had shown his great mercy toward her, and they rejoiced with her. 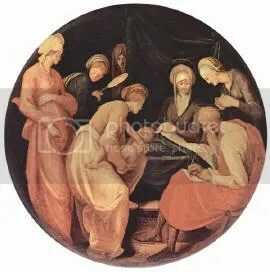 When they came on the eighth day to circumcise the child, they were going to call him Zechariah after his father, but his mother said in reply, “No. 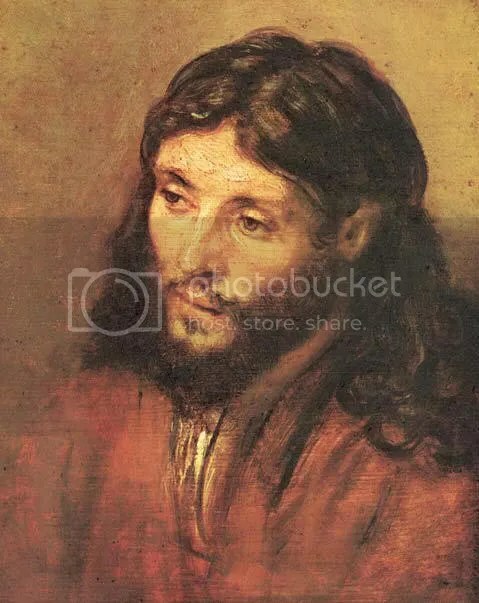 He will be called John.” But they answered her, “There is no one among your relatives who has this name.” So they made signs, asking his father what he wished him to be called. He asked for a tablet and wrote, “John is his name,” and all were amazed. Immediately his mouth was opened, his tongue freed, and he spoke blessing God. Then fear came upon all their neighbors, and all these matters were discussed throughout the hill country of Judea. All who heard these things took them to heart, saying, “What, then, will this child be?” For surely the hand of the Lord was with him. The child grew and became strong in spirit, and he was in the desert until the day of his manifestation to Israel. Reflection on the gospel reading: God is gracious: this is the meaning of the name that Elizabeth and Zechariah gave to their child. Elizabeth and Zechariah had passed the time in their lives when children typically were born to people, and this was a source of embarrassment, no doubt, to Elizabeth in a culture that placed great stock on a woman’s ability to bear children. How often does God come into our lives at times of bareness and abandonment to instill life in us in some way that we could not have anticipated? God is gracious because God enters our lives in unexpected ways to make possible what we believed to be impossible. In this case, of course, not only did Elizabeth and Zechariah receive a child when they had despaired of the possibility, but the child they received was one marked by God for a special mission and a deep holiness. When God acts in our lives, God sometimes does not merely surprise us but also outdoes our every expectation. God is gracious. 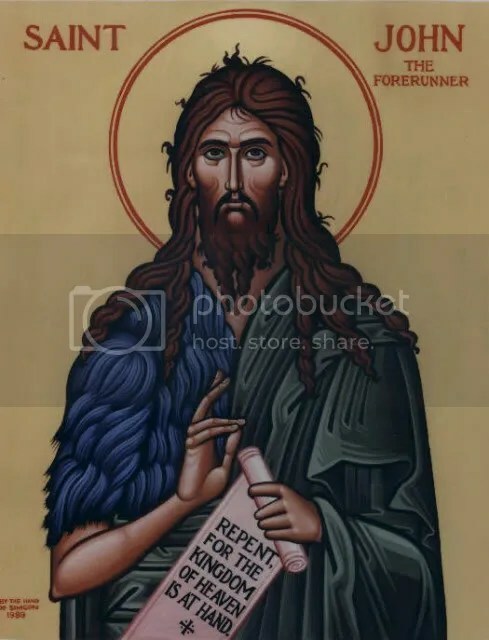 Saint of the day: John the Baptist, the last of the prophets and the forerunner of our Lord, was a man of the desert. 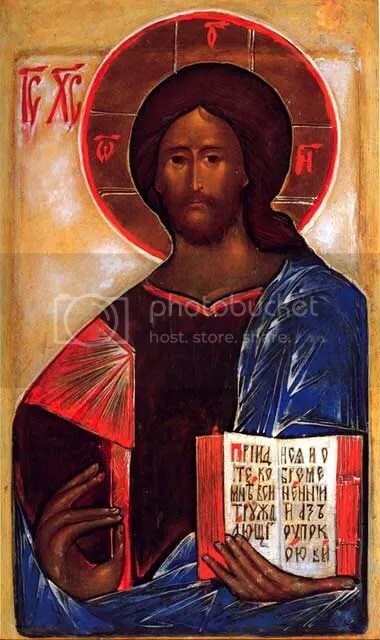 The son of a priestly line, born of aged parents as if by a miracle, brought up as a Nazarite, that is, dedicated from birth to God’s service with lifelong obligations never to shave, take wine, or indulge in human pleasures. He lived in the wilderness, a rugged and magnetic figure, clothed in the skin of a camel, living on locusts and wild honey. Crowds followed him, held by his hypnotic power and rugged eloquence and lashed by his bitter invective. “You offspring of vipers, who has warned you to flee from the wrath to come? Bring forth fruits meet for repentance. The axe is laid to the rotten trees.” The wheat is being threshed and the stubble burnt in the empty fields. 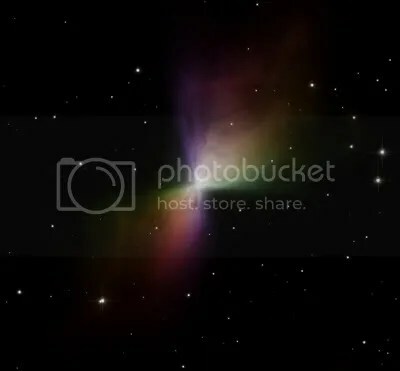 It was the voice of the old dispensation, the last echo of Moses and Elijah, the final challenge of the fire and thunder of the God of the ancient Jews. His end was tragic, the result of a squalid intrigue. With characteristic boldness he had denounced the unlawful marriage of the infamous Herodias, and, as a result, had been thrown into the gloomy fortress of Machaerus on the shores of the Dead Sea. Then, to gratify the cruel and frivolous whim of a dancing girl, Salome, the daughter of Herodias, who had been prompted by her mother, Herod, to his own disgust, but unwilling to take back his word, put him to death, and there followed the shameful display of his head on a charger. Thus ended the life of this sublime and extraordinary figure who blazed the trail for our Lord. The disciples gave his body decent burial and then broke the tragic news to Jesus, who, overcome by grief and unable to face the crowds that thronged Him, took a boat and retired for a while to a desert place apart. Spiritual reading: The Word of God, incorporeal, incorruptible, and immaterial, entered our world. Out of his loving-kindness for us he came to us, and we see this in the way he revealed himself openly to us. Taking pity on humankind’s weakness, and moved by our corruption, he could not stand aside and see death have the mastery over us. He did not want creation to perish and his Father’s work in fashioning man to be in vain. 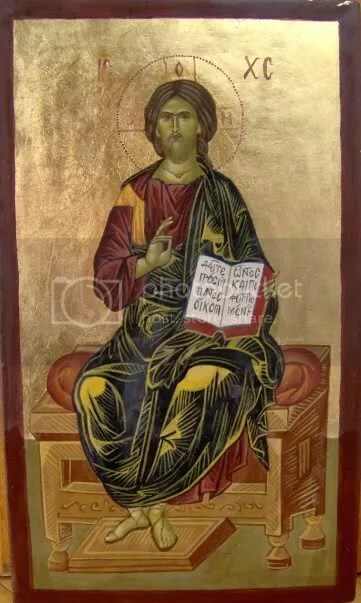 Jesus said to his disciples: “Do not give what is holy to dogs, or throw your pearls before swine, lest they trample them underfoot, and turn and tear you to pieces. “Do to others whatever you would have them do to you. This is the Law and the Prophets. Reflection on the gospel reading: Life presents to us a wide array of options. We can do whatever we want to do, whenever we want to do it, that is, we can take that broad road that leads to destruction. Conversely, we have the possibility to enter through the narrow gate that leads to life. And where is this narrow gate? 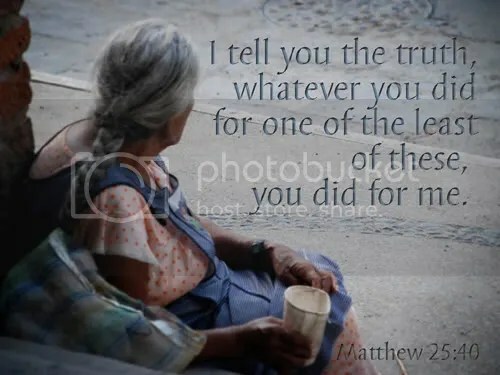 It is in the active pursuit of the good for others that we would desire for ourselves: the Golden Rule that Jesus gives us in today’s gospel, “Do to others whatever you would have them do to you.” It is a narrow gate because it requires of us focus and single-heartedness. Really, it isn’t so hard a thing to do, this living for the good of the other, but it does require us to be consistent and determined. Focus, single-heartedness, consistency, and determination: these are the reasons we may perceive that gate which leads to life as a narrow one. 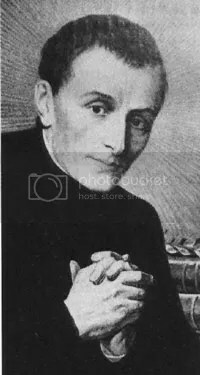 Saint of the day: Joseph Cafasso was born in Italy in 1811 into a wealthy peasant family and educated in the seminary of Chieri. The life of Joseph Cafasso, who was ordained a priest in 1833, was written by Saint John Bosco, to whom Joseph served as teacher, adviser, and spiritual director for over twenty years. Three years later after his ordination, Cafasso was appointed professor of moral theology at the ecclesiastical college of Saint Francis in Turin, which housed 60 young priests from different dioceses and of diverse political orientations. Ten years later he was appointed superior of the college, and he remained in that position until his death. He also directed a retreat house at Lanzo, but his special apostolate was to prisoners and convicts, especially those preparing for execution. Like Saint Robert Bellarmine, Father Cafasso was of short stature and called “the little one,” but he made his mark both as a spiritual director and a preacher. He led a very penitential life and was renowned for his devotion to the Blessed Sacrament and as a confessor. Spiritual reading: If it often seems to us that we have no power over our cold heart, we still are able to do one thing: pay attention to the silent, shy, almost unconscious stirring of the love of God, to the quiet calls for God by our restless heart.